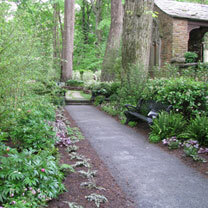 Beth believes the best gardens satisfy the eyes and blend with their surroundings. 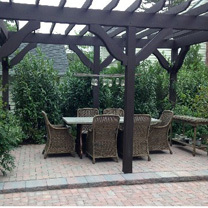 She will work with you to create a garden that reflects your ideas and inspirations, starting with key objectives like how your outdoor space is used and how much time you can devote to maintaining the new garden. These key objectives create a sound foundation to evaluate the site, design the garden’s layout and create the best plant collection for your needs. 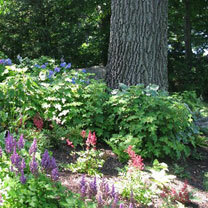 Beth will discuss bloom sequence, color schemes, foliage, form and texture with you as your new garden plan takes shape. 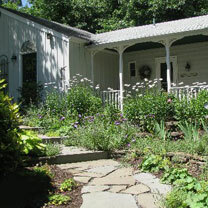 Beth prides herself on offering her clients extended seasons within which to enjoy their garden. 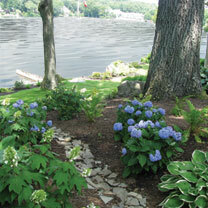 Gardens which always offer a seasonal show through bud, bloom, bark, berries or branches is key to enjoying your garden from winter through the active growing seasons and fall’s chill. 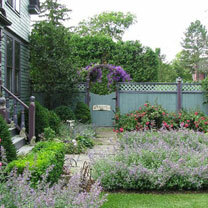 Ask her to install your garden plan in full -- or to use the comprehensive design as a master plan to execute over the course of many seasons. 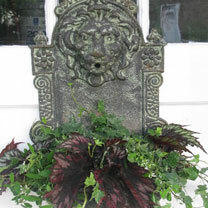 Beth can also help you gracefully rejuvenate your existing garden, whether it’s inherited or just in need of tender loving care, then show you how to maintain it for ongoing enjoyment. 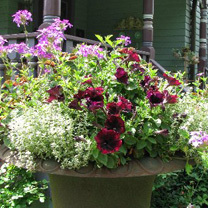 Container plantings can accent an existing garden, dress up a doorway, or be used to create an entire garden or terrace. 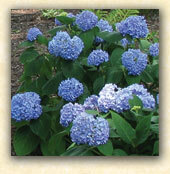 They can fill bare spots in the sunny garden with a burst of color or lighten a shady garden with variegated foliage. 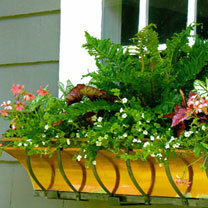 Potted gardens offer all gardeners versatility and portability. Ask Beth to recommend the perfect containers and plants -- and let her put them together into original designs just for you. 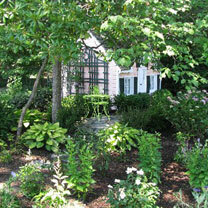 All gardens need ongoing attention for long-lasting health. 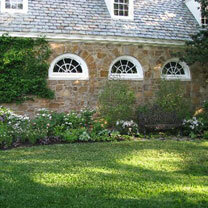 The garden design can only be as good as the nurturing it receives. Beth follows up her design and installation with one-on-one training on how to maintain your beautiful new garden, including seasonal timetables for tasks. 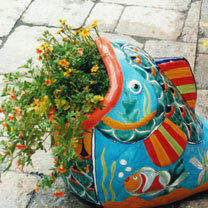 She’s delighted to work with you, whether you’re already a green thumb or a new gardener. 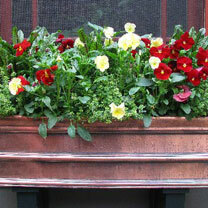 She also returns the following year to see how your garden is growing and tend to plants needing extra attention. Caring for your own garden can reward you throughout the year. 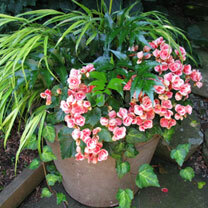 If you prefer, The Potted Garden will also gladly maintain your garden for you. 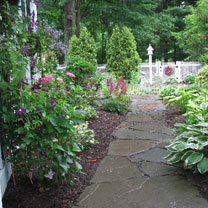 Here is the comprehensive process Beth follows to create your garden. Step 1: Consultation. 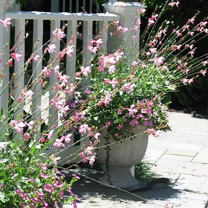 Discussion about your garden objectives and requirements – Beth encourages you to share information that has inspired you: photos of a friend's garden or articles and pictures from magazines. Step 2: Site Visit. 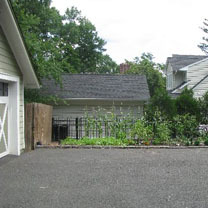 Review your proposed garden site in conjunction with its surrounding environment: buildings, hardscapes, and existing gardens. Step 3: Site Analysis. 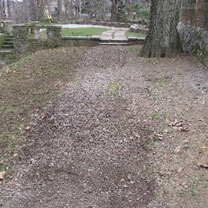 Evaluation of your existing site in terms of soil, light, drainage, other environmental factors. Step 4: Garden Design. The design plan is reviewed with you. 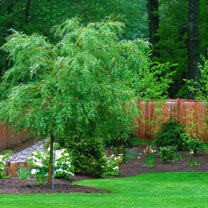 This master plan includes: the design, plant lists, a photo library of each plant recommended for your collection, soils assessment, irrigation and rodent control recommendations, plus a project estimate. Step 5: Your Review & Approval. 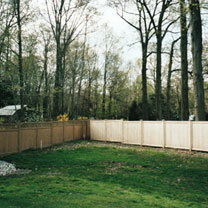 Step 6: Garden Preparation, Layout & Installation. 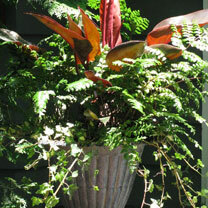 All procurement and plant selection is personally completed for you by Beth. 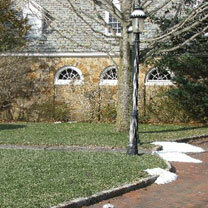 Garden footprints are cleared, soils amended, plants laid out according to the design and installation is completed. Step 7: Personalized Maintenance Review. 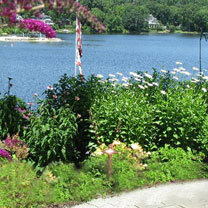 A customized maintenance package, including hands-on review for each plant in the landscape, is created for each client. This easy-to-use document details feeding, pruning and general care. Step 8: Seasonal & Post-Season Review. 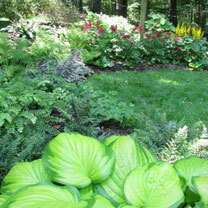 Visits to your new garden site to check on your garden’s health and answer any questions you may have.